Note: The full-time September 2019 intake is now closed for new applications. Applications for the part-time program are being accepted. Applications for the full-time September 2020 intake will be accepted starting January 2, 2020. The BCIT Bachelor of Business Administration (BBA) degree provides students the opportunity to enhance the skills developed in their diploma programs. Students broaden their knowledge in the BBA with courses that focus on critical and strategic thinking skills. This is achieved through a group of core of upper level business and general education courses. With the business world constantly changing and becoming more complex, the BBA creates well rounded graduates who are able to look at an organization’s problems through different perspectives. Increase your opportunities of advancement in your current organization with the skills learned in the program. Who should apply for the Bachelors of Business Administration? * For the list of eligible diploma, bridging programs, and entrance requirements please visit the Program Entry page. Our BBA grads have many options when they finish school. They may start pursue a variety of career options, attend grad school or even work abroad. To learn more about these opportunities for graduates please visit our Graduating and Jobs Page. The BBA offers a number of international exchange opportunities that helps students gain a global perspective of the economy, culture, government, and everyday life of the country they study in. Learn more about international exchange opportunities and international double degrees with internships. The BBA is a degree program for students who are planning to complete, or have completed, specific BCIT diplomas, and who wish to further their education. NOTE: There is NO direct entry for external applicants (see below). Successful candidates must meet the program's minimum entrance requirements, and should apply to the BCIT BBA program after completing or when nearing completion of one of the BCIT School of Business diploma programs below. Part-time: applications are accepted throughout the year. Preference will be given to applicants who exceed the minimum GPA requirement and are current full-time students in the BCIT Diploma. This program has a two-step admission process. Applicants must meet all entrance requirements to be accepted. Applicants who are currently enrolled in the 4th term of their BCIT Diploma must be on track to complete their diploma by May. Currently enrolled full-time BCIT diploma students applying for the full-time degree may be conditionally accepted based on successful completion of their diploma. *Note 1: Students from Sustainable Business Leadership, Digital Design and Development and Graphic Communications Technology are required to arrange for a pre-entry assessment by contacting the BBA department to determine if they are required to complete OPMT 1197 (70% min) and ECON 2200 (70% min) or equivalent to be eligible for the BBA. **Note 2: Students from Broadcast and Online Journalism are required to arrange for a pre-entry assessment by contacting the BBA department to determine if they are required to take BUSA 7250, ECON 2100, FMGT 1152, OPMT 1197 or equivalent. Alternatively, students can choose to complete the Advanced Diploma in Business Management to meet the BBA entrance requirements. This option is encouraged for students that need to complete elective courses for the BBA. Please note that this bridging path is currently under review, and will be changing for admission into the January 2019 term. Each application will be reviewed and assessed by the program area once it is complete. Applicants that do not meet all entrance requirements will be notified of necessary upgrading courses and will be required to reapply to the program when they have completed the courses. Tuition payment is due 60 days prior to the program start for ALL students taking the full-time program. For students who are unable to pay their tuition at 60 days prior, please contact BCIT's Financial Aid department for a fee deferral. Please see the Fees, Payments and Refunds section of the website for more information on full-time tuition fees. Please note that starting January 2019, OPMT7750 Data Modelling and Business Intelligence will replace OPMT7740 Integrated MIS. Students that have already taken OPMT7740 should NOT take OPMT7750, as OPMT7740 meets the BBA core requirements. As a full-time student, you'll be immersed in a highly structured and demanding environment for the duration of the program. All full-time courses are scheduled at the Burnaby campus. The full-time program begins in September and ends in either April or August, depending on the number of general education electives any student needs to complete. You'll be working toward completion of your BBA degree through lectures, hands-on labs, and integrated e-learning, working independently and in teams, building knowledge through presentations and research. You'll be one of 50 students accepted into the program. Like yourself, everyone will have completed a BCIT business diploma program, and many will have work experience. Students come from many disciplines and fields of study, leading to a rich, dynamic, and varied learning environment. Your schedule will be busy, with 15 in-class hours per week, plus homework. In the computer labs, you'll have your own computer workstation to complete all assignments. You'll have regular, usually weekly, class assignments to complete for most courses, so it's important to manage your time well and perform consistently throughout the school year. Once accepted into the BBA part-time program, you'll register and complete classes on a course-by-course basis. This option usually allows students to complete the program in 18-36 months while working. Course information and availability is listed below. Full-time courses are scheduled at the Burnaby campus. Part-time students are responsible for preparing a suitable schedule for each term. Course offerings vary from term to term and are scheduled at the Burnaby campus. BCIT part-time courses operate on a first come, first served basis and capacity is limited. Please refer to the BCIT Part-time Studies course finder or Part-time Studies flyer for term specific information. The Business Administration BBA program is available full-time or part-time. Discusses a variety of topics. The emphasis may vary from semester to semester but may include: the relationship between government and the business system in Canada, the impact of foreign investment and free trade, consumerism, environmental protection, the impact of the Canadian Bill of Rights, etc. Prerequisite: Acceptance into the Bachelor of Business Administration program. This capstone integrative course is designed to dramatically improve the quality of student decision-making in a time sensitive global environment. Enables students to utilize the principles of strategic management enhanced by contemporary new analytical concepts. Simulates real-world decisions via team case studies and the applications of management decision support systems. Prerequisite: Acceptance into the Bachelor of Business Administration program. This course emphasizes the economic way of thinking by developing a unifying framework to study money, banking, and financial markets. This analytic framework uses a few basic economic concepts to organize your thinking about the determination of asset prices, the structure of financial markets, bank management and the role of money in the economy. Prerequisite: Acceptance into the Bachelor of Business Administration program or permission from the Program Head. Examines the use of economics, decision theory and business problems. Uses case studies to accounting/finance tools by managers facing various problems. The course will consider how the internal and external operating environment impacts a manager's resource allocation decisions. Prerequisite: Acceptance into the Bachelor of Business Administration program plus OPMT 7701. Introduces calculus course to business students. Topics reviewed are integration, differentiation and applications of calculus to business problems. The students apply calculus through problem sets to gain skills in the various techniques. Prerequisite: Acceptance into the Bachelor of Business Administration program. This course utilizes Excel’s PowerPivot and PowerBI functionality working on skills to model different types of data and how the data is synthesized into management information. In addition to the these skills, this course will dive into the issues related to big data and analyze big data so information can be integrated into the strategic decision-making process by using data visualization tools. Students will be then able to build custom dashboards to answer management problems. Prerequisite: Acceptance into the Bachelor of Business Administration program. Presents a second course in the application of statistical methods to business problems. The course will provide detailed theoretical understanding and practical applications of two of the most commonly used techniques in mathematical modeling Linear Regression and Time Series Analysis. You will learn how to view business situations as mathematical models and formulate the equations required for the model solution. Extensive lab work using computer software will lead to theoretical solutions. You will then learn how to interpret these solutions as a guide to practical management action. The course provides the opportunity to use and evaluate current software. Prerequisite: Acceptance into the Bachelor of Business Administration program. Extends analysis of human behaviour in the organization toward development of models in the decision-making process. The extended analysis will encompass the development or organizations toward open systems capable of effective responses of change. Students learn how to apply behavioural models in bringing about change. Prerequisite: Acceptance into the Bachelor of Business Administration program plus BUSA 7800. The focus of this course is to help students identify the elements of effective online storytelling using journalistic principles. Students will research stories which reflect the experience of studying in different cultures and learning through the BCIT International Field School model to help develop their news sense. The course will take students through the essentials of how to find a strong, focused news and information-based stories and how to effectively interview to support the focus of their stories. They will also learn how to communicate that story with written and visual elements online. Students will share their reflections on their experience with international learning and storytelling in different cultures through the creation of a travel blog. Prerequisite: Permission from the International Program Coordinator. The Cooperative and Community Development course is designed to provide students with the specific knowledge and skills they will need to be able to participate meaningfully and effectively at leadership level in the decision-making, management and entrepreneurial processes of cooperatives and social enterprises. The students will learn how to develop the capacity in both communities and individuals to aid in their economic, social and sustainable development. This course provides a foundation for Capstone Projects focused on the community and its development both locally and internationally. This interdisciplinary course provides an in-depth study of a topic in sustainable business leadership. BSUS 7300 is designed to expose students to the successes occurring in the field of sustainable business leadership. Topics vary from term to term and may include subjects such as successful models and interventions in the application of sustainable business leadership to: transportation, local government, energy management, agriculture and conservation, water, waste and pollution, and consumer behaviour. BSUS 7401 is a project based capstone course. As a capstone experience, the course is meant to serve an integrative role, bringing together all the concepts from the course work in the first term of the program. The course will consist of a project that will focus upon Sustainable Leadership within organizationsIn this course students will form teams based upon their interests and begin developing a Sustainable Implementation Plan for an organization. All of the other courses in the first term are designed with the goal of feeding the Capstone Course. That is, all of the other courses will provide the knowledge, skills and abilities for students to successfully meet the requirements of BSUS 7401. Thus, this course is designed to explore the interfaces between sustainability, leadership and change management, operations management, marketing management, and environmental law within the context of entrepreneurial ventures, innovative for profit corporations, and non-profit ventures. The focus of this course is on gaining new venture/implementation experience. Students will learn how to identify a good business or change management opportunity by evaluating the needs in the community, environmental forces creating the opportunity, and the profit potential of the business opportunity. The central focus of the course will be on the Capstone Project, where students not only have to come up with an innovative concept or idea, but also have to meet the test of implementation. BSUS 7402 is a project based capstone course that extends the project begun in BSUS 7401. As a capstone experience, the course is meant to serve an integrative role, bringing together all the components of course work in the second term of the program and the business/sustainability plan students began in the first term. The course will focus upon Sustainable Leadership within organizations In this course students will continue in their teams formed in the first term and continue to develop a Sustainable Implementation Plan for an organization. All of the other courses in the second term are designed with the goal of feeding the Capstone Course. That is, all of the other course will provide the knowledge, skills and abilities for students to successfully meet the requirements of BSUS 7402. This course is designed to explore the interfaces between climate change and GHG management, industrial ecology, ecological economics, entrepreneurship and sustainable accounting and finance within the context of entrepreneurial ventures, innovative for profit corporations, and non-profit ventures. The focus of this course is on gaining new venture/implementation experience. Students will learn how to implement a good business or change management opportunity by evaluating the needs in the community, environmental forces creating the opportunity, and the profit potential of the business opportunity. The central focus of the course will be on the Capstone Project, where you implement an innovative concept or idea. The course provides the opportunity to pursue studies of the international business practices in areas of interest, which include sustainability, human resources, management, marketing, organizational behavior, and financial management. It provides an overview of management and leadership skills in the international business context through a series of projects and case studies. This course is equivalent to a 3.0 credit course at the undergraduate level. Students may apply this course to the elective requirements of their degree program. This course may be taken as part of a field study or exchange program for additional credits. In the case of exchange programs where transfer credits will be awarded, the student may take this course for additional credit as long as there are deliverables and learning outcomes in addition to those earned in the exchange program. This course can also allow the student to engage in applied research or field study where the student works with, and is supervised by, faculty and/or other researchers also engaged in a related research agenda or project. Prerequisite: Acceptance to the School of Business International Field School program. This course introduces students to the field of values-based entrepreneurship and the development of intrapreneurship initiatives. The course explores best practices of starting and growing successful values-driven ventures and intrapreneurial projects. Values-based business (including the worker cooperative) is rapidly gaining attention around the world from entrepreneurs, investors, philanthropists, foundations, and consulting firms. This course is organized around the following interconnected ideas and objectives: Enterprises: To introduce students to the broad spectrum of emerging global cooperative, social (including environmental and socially responsible) ventures through presentations by guest practitioners; Entrepreneurship/intrapreneurship: To provide a variety of frameworks (social entrepreneurship, cooperative development, biomimicry etc.) for the design of values-based ventures and intrapreneurial projects; Markets: To introduce students to the emerging capital market for values-based ventures and the possible trade-offs in co-operative, environmental, social and financial return expectations from different capital sources, including venture firms and foundations; Management: To introduce students to the challenging and paradoxical management decisions inherent in managing for multiple-bottom-line objectives in entrepreneurial and intrapreneurial contexts; Metrics - To orient students on how to apply and critique models for assessing, measuring, and reporting on cooperative, environmental, social, and community impact in entrepreneurial and intrapreneurial contexts. Over the past three decades the impact of the energy industry on the North American economy has dramatically increased as North American governments have implemented various levels of deregulation. This has resulted in extreme price volatility for both the individual consumers and business. The purpose of this course is to provide business students with a broad introductory overview of the economic impact of the energy industry on consumers and business in Canada as it has evolved since its deregulation in the 1980's. Prerequisite: Acceptance into the Bachelor of Business Administration program. Given the extent to which it permeates our daily lives, Canada’s energy based natural resources have come to dominate the economic, social and political agenda in Canadian business. This course is designed to provide students with the analytical foundation to design and implement business strategies which account for the growing impacts of energy costs on all aspects of Canadian Business. Prerequisite: Acceptance into the Bachelor of Business Administration program. This three credit basic language and culture course is designed for students who have no Chinese background and who have never studied Mandarin before. By passing this course, students will develop four basic language skills in listening, speaking, reading and writing in Mandarin Chinese as well as to have basic knowledge in Chinese culture. The course will include communicative classroom activities and on-line practices to enable students to have a good command of the Chinese pronunciation system and basic grammar knowledge. At the end of the course, students will be able to conduct simple daily conversations and to read and write short sentences. This CINT1210 addresses practical needs in real-life situations. Each class is based on a few scenario(s) that contain the most commonly used expressions. In addition, the course covers many aspects of the Chinese culture. Verbal, non-verbal and multimedia materials will be employed to help enhance all four language skills. Prerequisite: Students who do not speak Mandarin or do not have previous knowledge of Chinese language. This course is an introduction to the dynamic forces which enhance effective communication between persons from various cultural backgrounds, primarily in a professional setting. By helping students to develop a truly international perspective, COMM 7100 encourages intercultural communication competency, otherwise known as ICC. Due to rapid globalization, ICC is not an option, but a necessity. Prerequisite: 6 credits BCIT Communication at 1100 level or above, or 3 credits of university/college composition. This course will offer a framework for education in the field of ecological economics, by providing a theoretical grounding in economics from first principles, therein exploring the fundamental principles of efficiency in the distribution of resources in society. Virtually all decision-making in the socio-environmental domain is affected by these principles. The course covers not only conventional (neo-classical) economics but also criticisms of this dominant paradigm. This course provides a conceptual understanding of economics and uses case studies to discuss applications in practice, by examining the principles of economics and how they might be applied to environmental and resource use issues. ​This course is designed to provide an interdisciplinary group of learners with the knowledge and skills to develop and manage their professional practice while considering sustainability imperatives. Principles of industrial ecology and urban world issues are covered in a manner that reveals constraints but also opportunities and strategies for balancing environmental, social and economic perspectives. In addition, the changing roles and approaches in governance systems and the role of stakeholders in decision making will be discussed. The course delivery mode is an experiential learning in classroom and field settings. This course introduces students to the principles of university-level writing and critical reading. Academic writing focuses on the study and application of the principles of university-level discourse, with particular emphasis on exposition and persuasion. Students will read and analyze essays, and write their own compositions. In several language workshops, students will also learn fundamental strategies for developing an effective prose style. Prerequisite: C+ in Grade 12 English. This course will discuss accounting and finance concepts focused on sustainable business practices. Businesses are realigning and in some cases, reinventing their organizations toward more sustainable business models. Accounting and Finance reporting techniques and analytical methods used by entities will be examined that enable organizations to reduce their firm’s negative environmental and social impacts while, in many cases, increasing assurance, profits, returns, and competitive advantage. This course surveys developments in world history since c. 1500 – when the discovery of the Americas by European explorers seeking new trade routes to Asia initiated global economic, political, and cultural interactions that have culminated in the highly interconnected and interdependent world of today. Introductory lectures will be devoted to the early modern period (1500-1750), but the course will focus more on trans-regional and transcultural developments after roughly 1750. The mid- to late eighteenth century has been widely viewed as the start of the modern era, a period distinguished by broad and constantly accelerating patterns of political, economic, and technological change. The shifts in international balances of power, and the global social and cultural upheavals that resulted from those changes, continue to influence the contemporary world. Beyond satisfying the intellectual curiosity many students have in world history (a worthy objective in itself), this introductory survey also serves an important practical purpose. World history exposes students to new perspectives, challenging them to think beyond the specific regional and cultural contexts they are most familiar with. This experience is increasingly recognized, by both public and private sector employers, as important for preparing graduates for a multicultural and highly globalized environment. Prerequisite: C+ in Grade 12 English. This is a course in advanced composition and rhetoric, in which students will develop skills in complex critical analysis and interpretation by analyzing and evaluating materials from a variety of discourses or genres, including visual, online, and print; developing and writing essays, including critiques and research papers; applying and discussing principles of rhetoric and critical theory; examining and using methods of interpretation and analysis from the humanities and social sciences; evaluating the credibility of primary and secondary sources, including as it applies to media literacy, and for the purposes of academic research; situating discourses within their historical context and relevant to rhetorical theories of different periods (for example, Aristotle in the ancient world and Bakhtin in the twentieth century). The course format will include lecture, discussion, and both individual and group activities. Prerequisite: BCIT ENGL 1177 or (equivalent), OR 6 credits BCIT Communication at 1100-level or above. Fosters abilities and values required for ethical decision making at work. Develops skills in logical analysis, a working knowledge of moral principles and theories, and the ability to diagnose and resolve moral disagreements commonly found at work. Examines and applies moral principles to historically famous cases in manufacturing, human resources, management, engineering, health care, and computing. Prerequisite: BCIT ENGL 1177, or 6 credits BCIT Communication at 1100-level or above, or 3 credits of a university/college first-year social science or humanities course. From ancient Greek myth to modern science fiction, Western culture's depictions of the power of technology have shaped our contemporary views. By analysing selected works of literature, film, TV and Internet sites from different historical periods, students will explore continuities and changes in depictions of technology and its transformative powers. Prerequisite: BCIT ENGL 1177, or 6 credits BCIT Communication at 1100-level or above, or 3 credits of a university/college first-year social science or humanities course. Develops simple, yet powerful methods for understanding and evaluating a wide variety of scientific and pseudo scientific material. Introduces some of the great thinkers and theories of the past, both winners and losers. Reflects on what makes scientific reasoning so effective, and uses these reflections to evaluate some contemporary criticisms of the place of science in society. Prerequisite: BCIT ENGL 1177, or 6 credits BCIT Communication at 1100-level or above, or 3 credits of a university/college first-year social science or humanities course. This course will explore the interrelationship between technology and society. The course will focus on how societal forces shape and are shaped by the meanings, development, spread, and uses of technology. Concepts, perspectives, and arguments from the social sciences and humanities will be studied and applied to analyze connections between society and technology. Prerequisite: BCIT ENGL 1177, or 6 credits BCIT Communication at 1100-level or above, or 3 credits of a university/college first-year social science or humanities course. This course emphasizes that people are responsible for the rationality of their opinions, in all areas of their lives. To that end, the course teaches methods for analysing and evaluating both ordinary and famous arguments, as found in everyday life, politics, religion, science, technology, and (even) philosophy. Prerequisite: BCIT ENGL 1177, or 6 credits BCIT Communication at 1100-level or above, or 3 credits of a university/college first-year social science or humanities course. Recent events on the world stage, along with Canada's somewhat ambivalent attitude toward its own role in armed intervention have sparked renewed interest in the legality of specific wars and in the ethics of warfare generally. This course considers whether there is any defensible basis for applying legal and ethical standards to armed conflict among and within nations. Prerequisite: BCIT ENGL 1177, or 6 credits BCIT Communication at 1100-level or above, or 3 credits of a university/college first-year social science or humanities course. In this course students will learn how to watch movies and read plays with a critical eye. In the discussions about movies the focus will be on the "grassroots creativity" - fan movies and video games - as responses to media industry dominance. Also, the topics such as film, theatre and politics, Hollywood versus independent films, and film and art will be explored. During the course there will be a few screenings of some cult movies such as Blade Runner, Casablanca, and Pulp Fiction. After completing the course, students should be able to demonstrate the ability to engage in critique relevant to both film and theatre media texts. Prerequisite: BCIT ENGL 1177, or 6 credits BCIT Communication at 1100-level or above, or 3 credits of a university/college first-year social science or humanities course. Food is essential for human life. The expression "we are what we eat" invites further attention to the ways food connects us to places, people, histories, cultures, and identities. Eating is driven not only by biological processes but also by psychological and social processes. Food can be viewed as a tangible material object as well as a manifestation of particular ideas, values, and practices. Food can be debated as a product of nature and a product of human or technological interventions. The course locates the study of food at some of these crossroads. Students will examine what food reveals or conceals about interpersonal, societal, technological, and environmental relationships. Students will explore how food keeps company with the senses, emotions, passion, desire, memory, and power. Students will reflect on how food (or the lack of food) conveys oppositional meanings such as love and rejection, reward and punishment, illness and health, celebration and grief, or conflict and resolution. Course material will open up interdisciplinary approaches drawn from the humanities and social sciences related to the study of food within and across societies. Representations, symbolism, and meanings of food in literary, artistic, and multimedia works will also be discussed. Course material may include a range of time periods and cultures. Prerequisite: BCIT ENGL 1177, or 6 credits BCIT Communication at 1100-level or above, or 3 credits of a university/college first-year social science or humanities course. This course introduces students to contemporary issues in health ethics by examining and applying ethical theories to moral dilemmas at the clinical, professional, and organizational levels. To this end, developing competence in moral reasoning is an important goal, one that will be emphasized through the analysis of case studies that test personal, professional, and societal values. Prerequisite: BCIT ENGL 1177, or 6 credits BCIT Communication at 1100-level or above, or 3 credits of a university/college first-year social science or humanities course. This interdisciplinary course provides an in-depth study of a topic in liberal studies, to develop students' understanding of a specific cultural, literary, artistic, technological, or scientific issue of concern to society, including consideration of both continuity and change. LIBS 7027 promotes cultural and civic literacy by exploring important social and cultural issues, in order to enhance the ability of students to contribute positively to workplaces and communities. Topics vary from term to term and may include subjects such as: technology and values; environmental ethics; utopian literature; the city - design and history; women in science and technology. Students may only take Selected Topics twice for credit towards a BCIT degree program. Prerequisite: BCIT ENGL 1177, or 6 credits BCIT Communication at 1100-level or above, or 3 credits of a university/college first-year social science or humanities course. Introduces students to the wide scope of the mining industry and prepares them for further courses in mining. The course covers the breadth of the industry from mineral exploration through to processing and marketing of mining products. The importance of environmental considerations and sustainable development are introduced. Students will learn the terminology used in the industry in preparation for further courses taught during the program. Except for online courses, a visit to an active mining operation will form part of the course curriculum. Presents an overview of the processes and materials that form and shape the planet Earth. The theory of plate tectonics is introduced and used as the basis of understanding the fundamental geological processes that operate both on, and beneath the Earth's surface. The formation and characteristics of minerals and development of the geological time scale, and deformation in the Earth's crust are reviewed as are an introduction to the geology of mineral and energy deposits and the geology of North America. Laboratory work includes identification of minerals, examination of geological maps and structures, and study of geological processes. Through seminars, online, class, individual and group discussions, students will examine cooperative marketing topics ranging from interacting with members rather than customers, strategic analysis, upstream/downstream cooperative marketing, fund raising and ethics, to community preventive marketing, the social marketing mix, branding and co-creation. Exposure to cooperative marketing, community engagement frameworks and best practices provides students with the structure to understand and propose community capacity-building endeavours focused upon community growth and well-being. Provides the mathematical knowledge required to move into the more advanced business math courses, especially Calculus for Management. Topics include linear and quadratic equations and inequalities, polynomials, rational functions, exponential and logarithmic functions, sequences and series. Applications to economics and finance are used. Prerequisite: Diploma of Technology in Business. This course deals with current issues in sustainable operations management. These issues may range from environmental issues such as waste minimisation, greenhouse gasses, landfill, recycling, reverse logistics and globalisation of operations. Students will look at these issues from the perspectives of both business and the environment. The course will include discussions on Environmental Policy as related to businesses, and students will have the opportunity to conduct an environmental audit. The Sustainable Organizational Change Management and Leadership course will focus on preparing students to be a "sustainability champion", i.e. a person who is leading a change effort in an organization towards sustainability. The course will focus on practical tools and concepts that are useful from this perspective. In addition, students will have an opportunity to add to their personal facilitation tool box so they have the skills necessary to engage their peers in a sustainability change process. The course will feature interactive exercises and classes will be developed around four steps to create an engaging learning environment: anchoring student experience in the issue at hand, adding a practical concept to help address the issue, applying the concept in practice, and reflecting on real-world applicability once students are away from the class. The course will also include guest lecturers who are currently championing sustainability efforts to share lessons learned and advise students on their course work and future career path. This course is complemented by a keystone project in the program where students will have an opportunity to apply concepts and lessons learned from this course. This university-transferable course focuses on the psychologist's approach to theories, problems and issues in contemporary psychology. This survey course introduces the student to the following areas of psychology: perspectives in psychology and current research findings on biological aspects, sensory processes, perception, consciousness, learning and memory. This university-transferable course focuses on the psychologist's approach to theories, problems and issues in contemporary psychology. This survey course introduces the student to the following areas of psychology: theories of personality, psychological disorder and its treatment, health psychology, emotion and motivation, social psychology and cultural influences, developmental changes over the life span, thought and intelligence. All students will be required to achieve these credits in accordance with the BCIT BBA policy on General Education Requirements [PDF]. The first two years or lower levels of the Bachelor of Business Administration is a minimum of 110 credits taken over two 9-month academic years, September to May. The upper levels (third and fourth year) are completed either full time or part-time. The full time option has an 8-month academic year, September to April. The part-time option is offered continuously over three equal terms starting in September, January or May. The BBA program follows the "two by two" model. This is where the first two years of the degree are fulfilled by one of the school of business full time diploma programs. Students must first apply and be accepted into a diploma program. Upon completion of the diploma, students then apply to complete the BBA program. Students in the BBA who are interested in computer science have the opportunity to combine the associate certificate in Agile Development with their elective requirements. COMP courses in this program can be applied as General Education electives in the Arts/Sciences and Unspecified categories. BBA students will be given exemption for COMP 1630 and ORGB 1105 in the Agile Development program. The following illustrates the complete program matrix for a student who completes the BBA degree program. Note that course numbers may vary depending on which field a student chooses to specialize. Questions regarding equivalencies should be directed to the BBA program administrator of the Registrar's office. Students must complete 27 credits of electives that satisfy the BBA degree program breadth requirements. A complete list of eligible courses offered at BCIT can be found under the “Courses” section of this website and on the “General Education Guidelines” document. The maximum time to complete the program is seven years. Once accepted into the program a BCIT Business Administration BBA program plan is issued identifying the courses required for degree completion. Full-time: The program runs from September until April. Students usually complete the program within 3 terms. Students with the appropriate transfer credits for General Education may be able to complete the program within two terms. Students should note that they are automatically registered into the Required Courses (as outlined in the Program Matrix) from September - April. Depending on their specific BCIT Business Administration BBA program plan students may be required to complete courses under the General Education component. General Education courses may be completed at BCIT through part time studies or at another accredited institution. Students should note that BCIT part time courses operate on a first come, first served basis and that capacity is limited. General Education courses may also be completed through another accredited institution. The BCIT Business Administration BBA is currently comprised of 60.0 credits: 33.0 credits of Business courses and 27.0 credits of General Education studies. BBA graduates represent the program in many different industries, working in small companies and large corporations, including some of the top employers in British Columbia. The following BBA job bank consists of some the companies where our alumni work in BC and abroad. B.C. Sash & Door Co.Ltd. 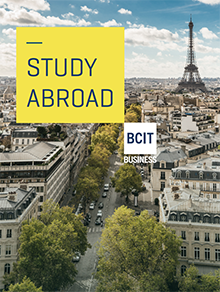 BCIT students are also eligible for Masters programs at any of our partner universities through the Student Exchange Program. Please contact the Program Administrator after completing the final course of their program for further information. Do you have 5+ years’ experience as a site supervisor, project or construction manager, or a self-employed contractor? You may qualify for the Executive Path to the Bachelor of Business Administration degree program. This program significantly reduced the amount of time it takes you to earn a business degree to enhance your trades management experience. When should I apply to the BBA program? I am currently a BCIT Diploma student in the School of Business but I haven't graduated yet. Can I still apply? I have a BCIT Diploma but not from a Business Program. Can I get my BBA degree? I have a BCIT Business Diploma but I only want to do the BBA part-time. Are the rules different? I just finished my Diploma program. Can I get a FEE deferral? How many credits of general education do I have to complete in order to get my BBA degree? Can I transfer general education courses completed outside BCIT towards my BBA degree? What is the process? Can I take general education courses at another institution? If I am not a BBA student at BCIT, can I still register for a BBA course? What is the difference between the BBA and the ASTB (Advanced Studies in Business) Programs? How long it will take me to complete my BBA Program? The full-time admission process is competitive, so for your best chances for acceptance into the limited full-time option seats, apply as soon as possible after November 15 (in term 4 of your BCIT diploma program) to begin the next September. Full-time and part-time applications are treated separately. Part-time applications are accepted year-round, and accepted students may take the next available course. See our entrance requirements page for the details and criteria. Applicants who meet the minimum requirements are ranked. Acceptance or conditional acceptance is based on the ranking and available seats. I am currently a BCIT Diploma student in the School of Business, but I haven't graduated yet. Can I still apply? You may apply in the fourth term of your diploma, based on your grades in the first three terms and be conditionally accepted until fourth term grades are calculated. Applicants with a diploma from outside of BCIT School of Business can apply based upon the regular entrance requirements after completing the Business Management diploma program (9 months), the Human Resource Management diploma program (9 months). I have a BCIT Business Diploma, but I only want to do the BBA part-time. Are the rules different? The minimum admission standard is the same whether part-time or full-time, however, there is no limit on the number of part-time students admitted each term. Yes, contact financial aide and identify yourself as a BBA student. In order to earn your BBA degree, you have to complete 27.0 general education credits. Can I transfer general education courses completed outside of BCIT towards my BBA degree? What is the process? Yes, as long as they meet the requirements listed on the general education information page. It is best to discuss any potential courses with the program head or an advisor in the Registrar’s Office. In general, an acceptable transfer course must be a university-level course (first year or higher). If taken at a college, it must be transferable to any of the universities in the province. Yes, you can register for part-time BBA courses once you’ve completed required prerequisites and received department approval. Please contact the degree programs administrator at 604-412-7486 to obtain the approval. What is the difference between the BBA and the Advanced Studies in Business (ASTB) programs? The BBA is a BCIT business degree that allows BCIT diploma students to further their education and receive a degree conferred by BCIT. The ASTB is an advanced certificate offered in partnership with Thompson Rivers University (formerly Cariboo College), which confers the TRU-OL degree. It is made up of eight advanced part-time business courses that fulfill the business component of the TRU degree completion program. Currently these courses are the same as the eight core business courses required by the BCIT BBA program. As of September 2005, BCIT BBA program students do not qualify for the ASTB certificate. Application to the BBA is separate from application to the ASTB. The maximum time to complete the program is seven years but please view the program details page for specific information on part-time (2 years for completion) and full-time program (1 year or three terms for completion) lengths. The Executive Path for the BCIT Bachelor of Business Administration (BBA) degree program allows working professionals advanced placement into the program through recognition of workplace experience and education. Individuals who do not meet the traditional entrance requirements have an alternative path to complete their degree part-time. Students broaden their knowledge in the BBA program, which focuses on critical and strategic thinking skills. Your eligibility for advanced placement is determined upon assessment of your work experience and/or post-secondary education. Learn more about the assessment process and start your assessment. *Specific course requirements will vary based on individual assessment. Upon completion of the Bridging Path, you are ready to apply to the BBA Program, register, and complete classes on a course-by-course basis. The BBA Executive Pathway program is part of BCIT’s Human Capital Initiative which bridges the gap between workplace experience and post-secondary education in British Columbia. In this respect, the program supports the Institute’s provincial mandate to build economic capacity within the Province. The BCIT SITE Centre of Excellence undertakes prior learning related research and assessment activities which result in advanced placement education options for British Columbians. Facilitate the recognition and transferability of education across a wide range of disciplines, the objective being to produce multi-disciplinary trained/skilled graduates who are valued by industry. Recognize and measure non-traditional training and workplace experience, thereby facilitating advanced placement and credits within the post-secondary education system in British Columbia. Businesses can receive up to $10,000 to offset the cost of employee training. Learn more about the Canada-BC Job Grant.